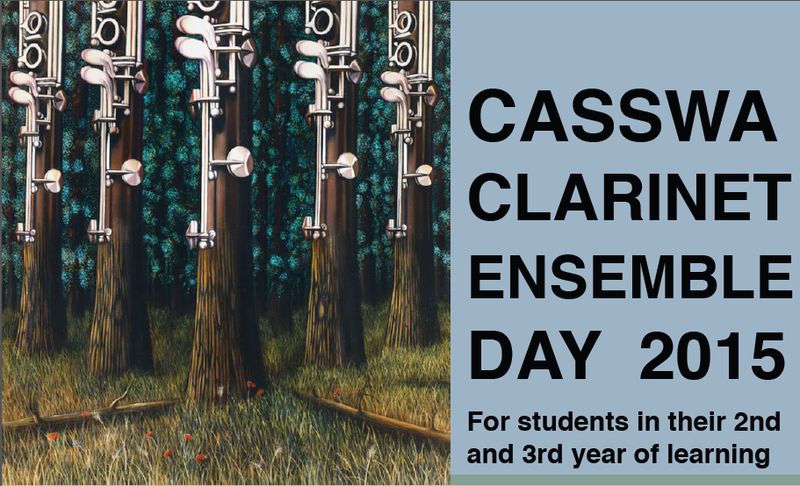 Join us for a fun afternoon of saxophone and clarinet ensemble playing! For students in their 2nd and 3rd year of learning. Parents are welcome to attend and a light afternoon tea will be provided. Time: 2pm – 4pm, with a performance at 3:30pm for family and friends. The 2015 Rite of Passage massed saxophone project brings together classical, jazz and contemporary styles in a night that will feature World and Australian premiere performances of cross-genre works by composer-in-residence Sean Bernard and leading International saxophonist Rob Buckland. In 2013 this project involved over 40 saxophonists and in 2014 the number grew to showcase almost 60 saxophonists on the one stage! Join Matt Styles, Rob Buckland and the WAAPA Saxophone Studio, and witness the awesome power and versatility of the saxophone. Tickets now available: $25 Full $20 Concession/Friends. Spread the word, join in the fun and don’t miss out on the opportunity to work with one of the world’s leading sax players! Let’s make it 100 sax player on stage this year! Rob Buckland (Director of Saxophone Studies, Deputy Head of Performance – winds, strings brass and percussion – at the Royal Northern College, Manchester) He is a true saxophone virtuoso in both classical and jazz, has a VERY envious list of performances, publications, compositions and recordings (Apollo sax quartet, Michael Nyman Band, Steve Martland Band, Sax Assault, Halle Orchestra, RLPO, CBSO, performances in South Africa, Europe and China) and is an EXCELLENT teacher, performer and musical director. Click here for more details about Rob. Registration is required and closes 24 April. Registration form available here. Thursday 28th August, 7:30pm, Music Auditorium WAAPA. Launched in 2013, Rite of Passage is a unique, cross – institutional, international collaborative project that links the Royal Northern College of Music (RNCM, Manchester, United Kingdom) and the Western Australian Academy of Performing Arts. 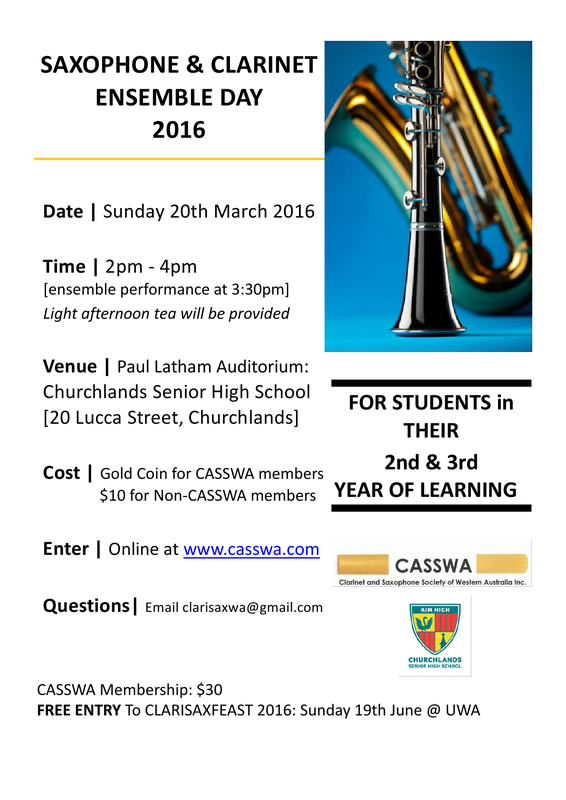 The first and only of its kind in Australia, this event also brings together staff and students from a number of schools across Western Australia, along with saxophone enthusiasts from the wider community. Led by WAAPA Saxophone lecturer Dr Matt Styles, this will be a night where jazz, classical and contemporary music meet, say a friendly ‘hello’ and become long lasting friends. Last year, almost 50 saxes participated – this year we’re hoping to double that! If you’d like to be involved or have any questions, contact Dr Matt Styles via email. Come along to hear stage 2 & 3 repertoire performed by outstanding students with expert comments from our adjudicators… A great opportunity for teachers and students alike! 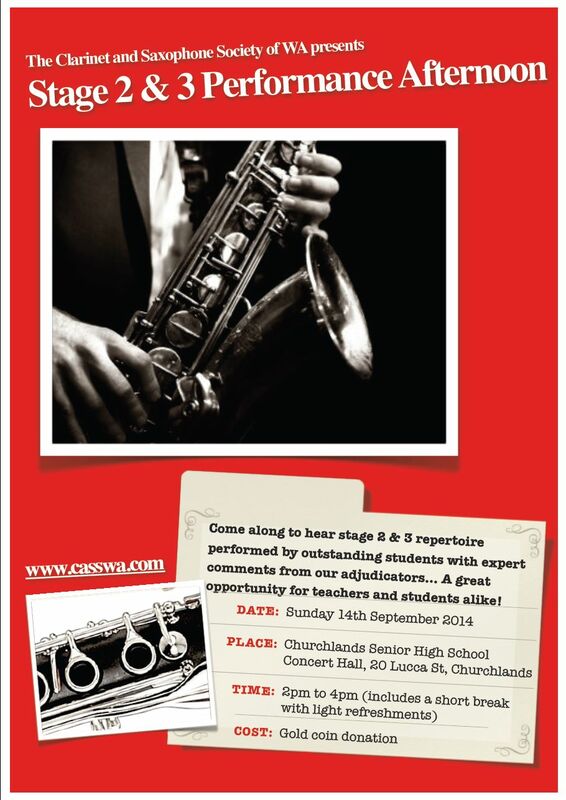 Sunday 14th September 2014 at 2.00pm at Churchlands Senior High School Concert Hall. Entry by gold coin donation.